Helloworld travel is an Australian based travel agency, with consultancies across the nation. 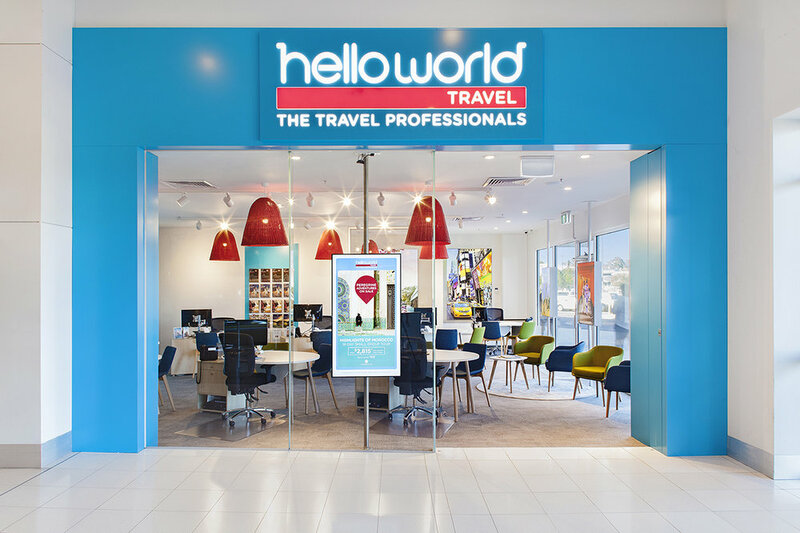 Helloworld, Waurn Ponds was the fourth store we designed for them. Having designed numerous stores to date (and counting) - we have been able to gain a clear understanding of the brand, key features within the stores, finishes and joinery. 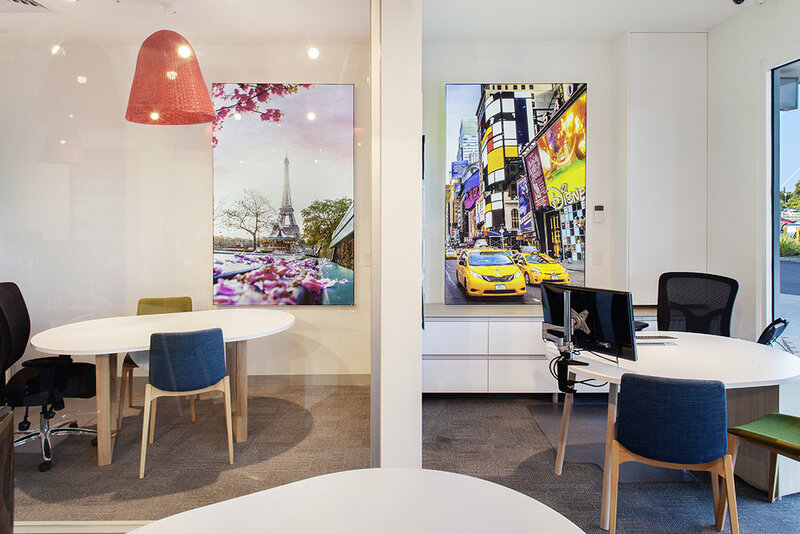 In gaining a thorough insight into Helloworld’s brand and interior design requirements - we are able to ensure design consistency across all stores. Key features of Helloworld, Waurn Ponds includes the striking blue portal that wraps the entrance from the mall – and which creates strong brand visibility. The signature brand wall within the store is an essential part of the fit-out, and this mirrors the Helloworld blue, as used on the façade. Consultant desks, with power & data supply to each are fixed in place within the store, and signature pendant lights are suspended above each. Travel images from key destinations are illuminated throughout the space, and at the external facing façade. By working with Helloworld and maintaining these key fit-out standards and ensuring consistent interior design across all stores, we assist them in increasing the brand presence with every store fit-out that is completed.